After the introduction of Superial, "DC", and Classique in the 1990's, we began to conceive of a model which would add a new and different dimension to the tonal universe of our reeds. This reed was born following extensive conversations and correspondence between Tom Alexander and the legendary late, great Jazz saxophone genius Michael Brecker beginning some years ago. Without Michael's gracious and invaluable feedback following experimentation with different prototype designs, this new reed simply would not have come into existence. It was a singular honor to have been guided by this greatly missed, phenomenal musical spirit and exceptional human being. NY was also thoroughly field tested by subjecting it to many months of on the job playing in the concert and tour performances of several of our World Artists who gave it their seal of approval and use it as their primary reed today. 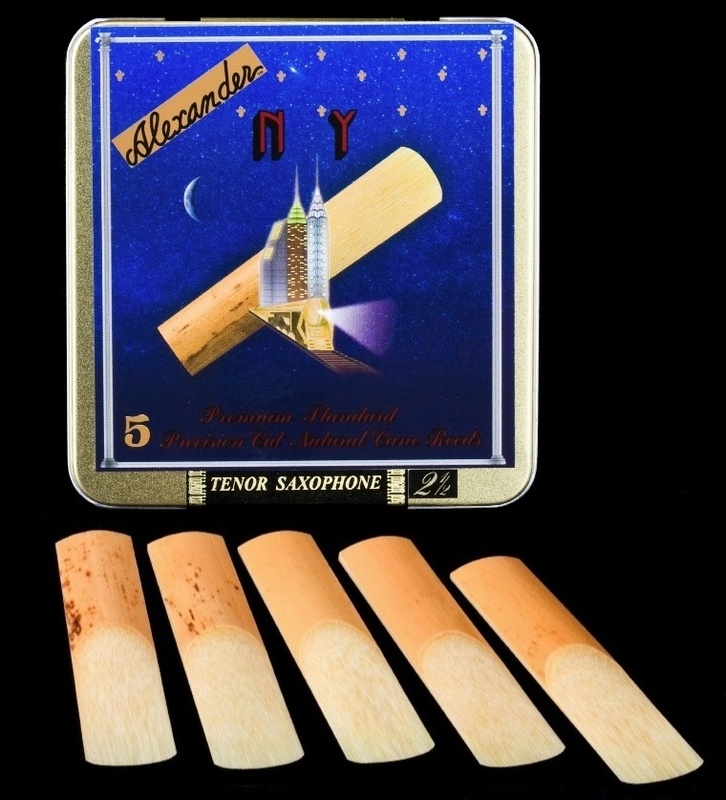 The result is a new reed made with our same high grade S. France cane, yet a redesigned tip and profile which produces a big and bold sound, full response throughout the registers and the type of vibrant, solid tone traditionally associated with that of the New York music scene. sustaining power, especially in the high end of the horn. We welcome you to debut our reeds, Alexander N Y.